Mold Damage Insurance Claims - ALL RISK PUBLIC ADJUSTERS "
Mold in the home can have serious repercussions. It can cause severe sickness and significant damage. Given this information, and the fact that most policyholders have limited coverage, it is important that your recovery and claim be handled with care. In the past, insurance companies provided coverage for mold damage when it resulted from a covered peril like a plumbing leak or storm. This has changed in recent years, however, as scientific knowledge and public awareness about mold’s health-related hazards have grown. The cost and risk associated with the cleanup, removal and remediation of mold have also increased. The remediation process often begins with testing. This is necessary to determine an appropriate remediation treatment for the specific type of mold damage. A remediation contractor then uses the appropriate remediation protocol to remove the mold-damaged property. The process usually ends with air clearance testing to determine if remediation was successful. Due to the cost and complexity of the remediation process, many insurance companies have pulled mold damage from their policies even when it results from a covered peril. Still other insurance companies offer limited coverage but for an additional premium. 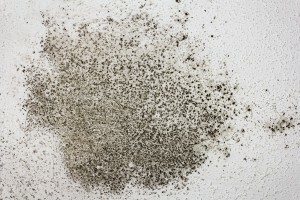 To make matters more difficult, it is not unusual for the insurance company to attempt to evoke policy exclusions for mold damage even when the policyholder has some coverage. The insurance claims adjusters at ALL RISK Public Adjusters have extensive experience with mold damage claims in Pennsylvania, New Jersey, Delaware, and Maryland. We will investigate the damage, determine your coverage and advise you on the most effective way to handle your mold damage insurance claim. When you are represented by ALL RISK Public Adjusters, you can feel confident that your mold damage insurance claim is handled with care and that you will receive every dollar you deserve.